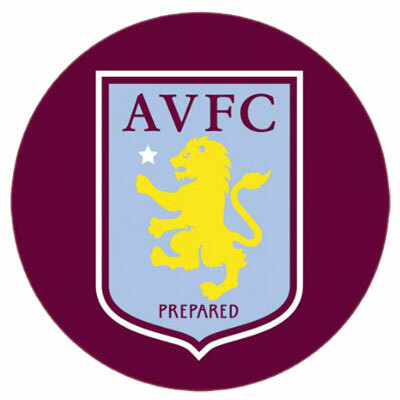 Premier League Preview for Aston Villa v Fulham along with Predictions for the matches on week 33 of the EPL. Follow up each match with results and video highlights posted later in the week. You can also check out the weekly EPL TV Schedule. Aston Villa suddenly looks like a side moving out of the bottom. They have won three out of their last four matches and in their three most recent losses they have actually looked half decent against Arsenal, Man City and Liverpool, all of which were one goal margins. At the moment Fulham are sitting in 10th and there’s really no concern of them dropping out of the Premier League. They have continued to get the results they need throughout the season. Where Fulham has struggled this season the most is on the road where they have more of a tendency to draw or lose. They have an away record of 3-6-7 and have allowed 28 goals. Aston Villa’s home record stands at 4-4-8 where they have allowed 24 goals. However, their recent form, along with a newfound determination to avoid relegation, has seen them get 2 of those wins recently as well as two of those home losses being to City and Liverpool. For Sunday’s match Aston Villa will be the team with more to play for. That doesn’t mean that Fulham need not show up, but rather that Villa has more to play for at this time of the season. My prediction is for an Aston Villa win. It is quite possible that Fulham could get a draw out of this, especially since Aston Villa has allowed 9 goals in their past 6 matches, but I’m going with Villa due to their recent form (having scored 10 in their last 6) and due to their newfound determination. This should be one of those results that sees Villa really move away from the bottom of the Premier League Table.